In the mid-1800s, the Weber piano competed neck-and-neck with the Steinway piano. Weber, however, was only one man, while Steinway was made by a well-organized family. Weber, furthermore, passed away in 1879. While his company continued, it did not have the staying power of Steinway, and was sold to another industry pioneer, Aoelian, in 1905. Aoelian made Weber pianos until it closed in 1985, and sold the Weber name to Young Chang in 1986. 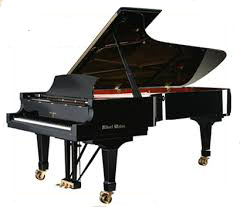 Today, Albert Weber pianos can be called one of the first truly “world" pianos. They were designed by an international team headed by renowned American piano designer Del Fandrich, formerly head of design at the Baldwin piano company. Hyundai did something unprecedented after purchasing the Albert Weber piano company. In keeping with company's mission to build the finest products, they took a page from their automobile playbook and upgraded everything that the Albert Weber was from materials to design. They hired and allowed Del Fandrich to completely upgrade the designs of their entire product offerings. Del took something that was already considered very good and elevated it to the next level incorporating innovative design elements like floating soundbords and removing duplex scaling from the smaller pianos. Currently the Del Fandrich designed Albert Weber pianos are hand built in Korea by their country's top piano builders using parts sourced from America, Europe and Asia. These pianos have a solid soundboard made from Alaskan AAA Sitka spruce from, German Abel hammers, all German Renner action parts in the grands, and German Roslau strings amongst its components. 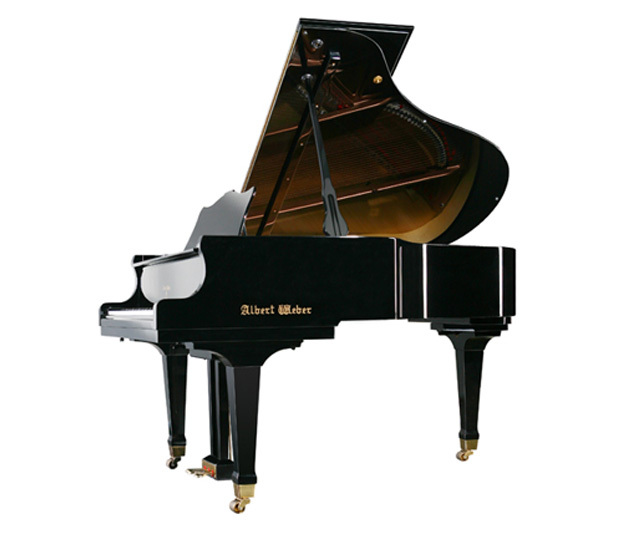 Albert Weber pianos are manufactured in a separate facility from all of the other pianos the company makes and receives extra preparation and attention-to-detail. 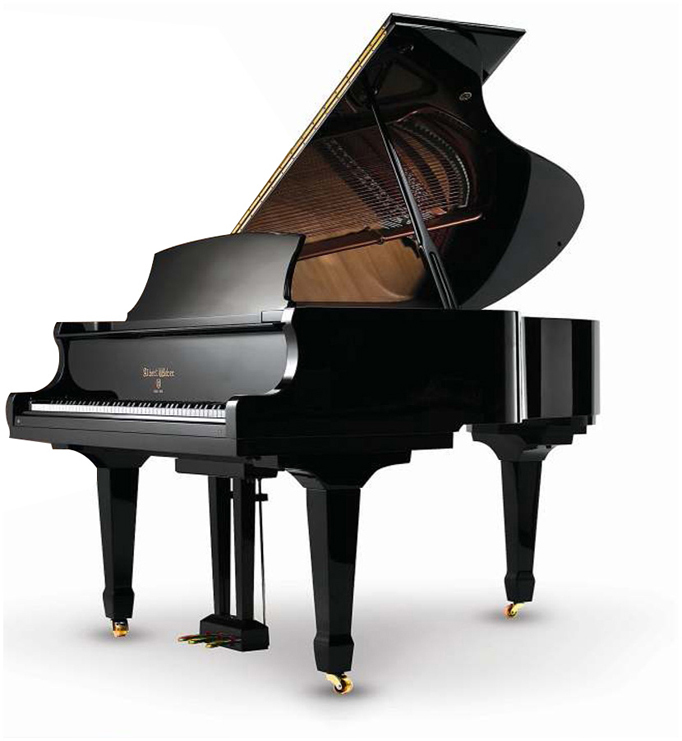 They are ranked by Larry Fine as an Intermediate-grade piano along with the GX series Kawai and the CX series Yamaha, but are hotly-competitive in musicality with many far-more-expensive Shigeru Kawai , Yamaha CF and European brands ranked by Fine as Performance-grade pianos. For its price, the Albert Weber piano ranks high up the price/performance curve, and, we believe, is a far better value than many pianos ranked as Performance-Grade, such as Bohemia, Petrof, and Schimmel International series. In particular, there are two models that are super strong in the marketplace: the AW121 48" upright and the AW185, which is a 6'1" grand. The Albert Weber 48" upright is a particularly strong competitor that competes at the top of the market for uprights. 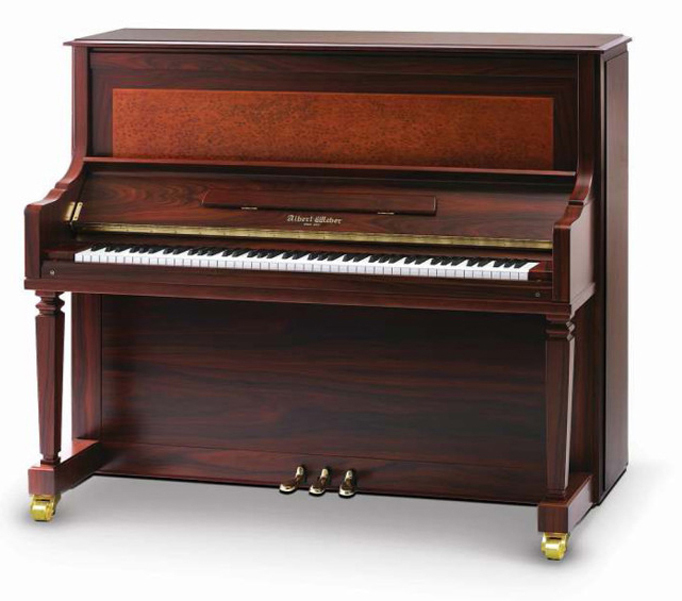 Its features includes a AAA Sitka spruce soundboard, Renner blue hammers, Roslau strings, and a grand-like music stand typically only available on 52" uprights that extends out from the face of the piano and provides two ports for sound to escape. 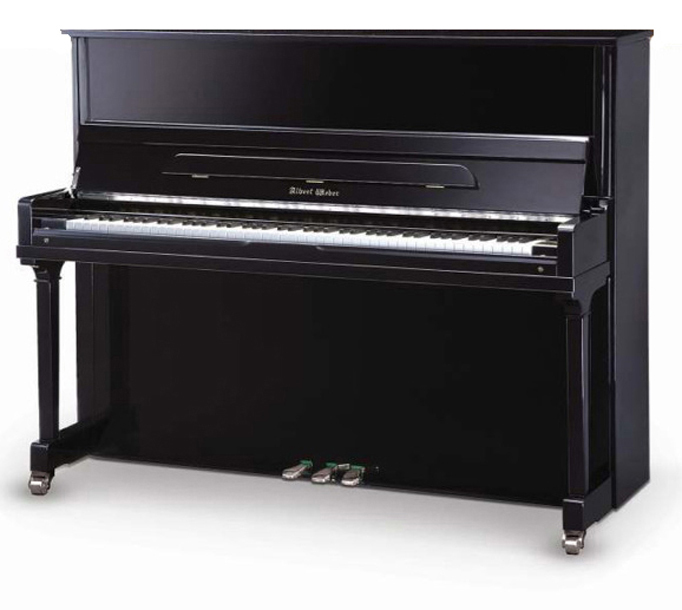 The AW 48 is a cut above the Yamaha U-1 or Kawai K400 and compares well against Petrof, Hoffman, and Yamaha's YUS1 pianos, but at a significantly lower price. But again, don’t take our word for it. 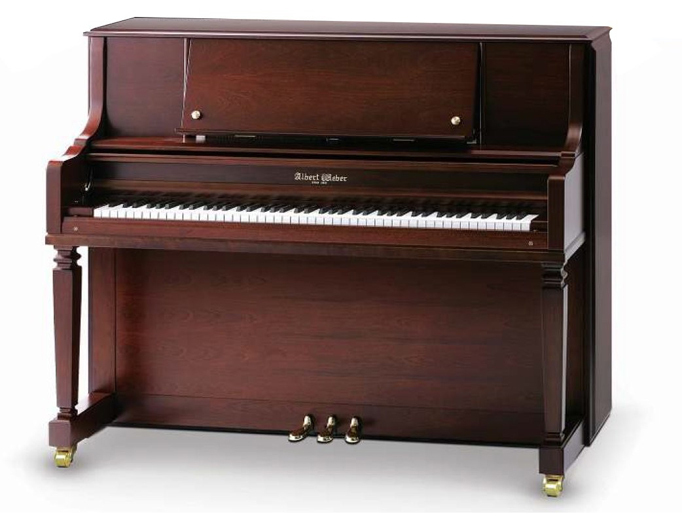 Come on in and give this American designed and engineered piano a try. You can compare it side by side with some of the best values on the market in our huge showroom.